Thinking about throwing your old soiled carpet away? Why not contact Excellent Carpet Cleaning to professionally rejuvenate and deep clean it instead? Our expert carpet and rug cleaning company offers commercial and residential rug and carpet cleaning in Notting Hill W11, and we can deep clean any kind of rug or carpet for you at an attractive carpet and rug cleaning price. 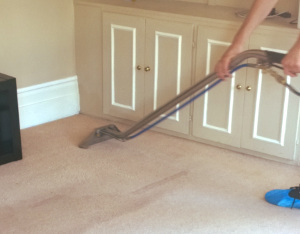 Excellent Carpet Cleaning provides premium quality, reliable and affordable carpet and rug cleaning in Notting Hill W11, suitable for commercial and domestic properties as well. We are constantly investing in hiring the best cleaners and personnel, as well as in buying the latest and most modern professional cleaning technologies, tools and Prochem certified methods for cleaning, which are perfectly safe and tested for the environment, animals and people. Our cleaners all work in accordance to the quality and safety procedures which we have implemented, as well as the detailed cleaning checklists which we have developed for every professional cleaning service which we provide. The professional cleaner inspects the rug or carpet to determine its type, its overall condition, as well as to spot any treatable stains and soiled areas. A professional vacuum cleaner is used for hoovering the carpeting. Tests are performed with all solutions which will be used for an eventual negative reaction before the treatment method. After that, the cleaner pre-treats all removable stains with the appropriate solutions. Our cleaners are equipped and trained to clean various blood, oily stains, paint, vomit, coffee, wine, tea, rust and others. We can even repair some types of moth damage on your carpet or rug. We have made the booking process as quick and as simple as possible. Call 020 3404 0500 or send an online booking request here. Our customer care staff will process your request within the next 2 hours and will send you written confirmation. This can be done 24 hours a day. We work Every day, including weekends and public holidays. Without any deposit. You can book more than one of the services we provide, and we will reward you with discounts to up to 15% of the price. Regular customers as well as estate agencies and local landlords will get preferential prices for our cleaning services. Book today!